The New York Times reported on a very interesting research finding in 2011 (I just saw it, it ain't new research). Read Scientists find gene could explain a horse's ability to pace for details, but here is the thumbnail sketch. Researchers studying Icelandic horse gaits knew "only some horses can pace, and they wanted to find out why. They found that a single gene differentiated pacers and nonpacers." Next, they determined that these genes were held in neurons in the spinal cord, which controls locomotion. That makes sense; trotting demands diagonal and coordinated movements. The DNA makeup of a given horse can predict that horse's performance! 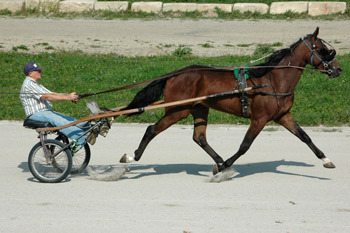 In June 2011 a researcher Andersson went to a pacing stable to conduct a blind test on his 61 horses. The trainer told the scientists that a few horses had trouble keeping their trot despite several years of training. Researchers were not informed of the exact number (it was two) or the identities of the horses. The researchers collected hair samples, ran a DNA test, and in a few days they were able to identify the two "problem horses" based on the test results. 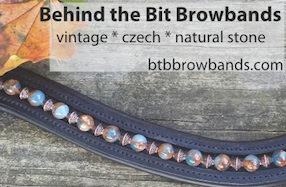 Gait traits, it seems, are something that is so strongly linked to a gene or genes that it could be used as a tool to breed horses more successfully.